British wholesale gas prices rose on Monday as a partial shutdown of the Elgin-Franklin platform in the North Sea and an extended outage at a gas storage facility tightened supplies, traders said. The day-ahead contract rose by 1.65 pence to 53.00 pence per therm by 1137 GMT, lifted by concerns over gas supplies filtering through into contracts across the near and forward curve. Gas for immediate delivery was up 0.75 pence to 53.50 pence per therm. Early on Monday, Total E&P reported that offshore reduction had tripped at its Elgin-Franklin gas platform in the North Sea. “Offshore production has tripped… On restart production will be limited to five million cubic metres/day for an unknown period,” Total UK Exploration and Production said in a market message. Further tightening supply was Centrica’s announcement that an outage reducing withdrawals from Britain’s largest gas storage site Rough would be extended by a month until March 1. An unplanned outage at SSE’s Hornsea gas storage site will also reduce withdrawal capacity until Feb. 3, the SSE said. Britain faced a gas shortfall of 26.1 million cubic metres (mcm) on Monday, with demand estimated at 316.1 mcm/day and supplies at 290.7 mcm/day, according to National Grid data. “Sentiment has fed through into the near curve which has seen prices further supported by the extension to the Rough outage,” said Nick Campbell, risk manager at Inspired Energy. Average temperatures in Britain are milder than expected on Monday but forecasts for Tuesday and next week indicate colder- than-anticipated weather, according to Thomson Reuters analysts. In the Netherlands, the day-ahead gas price at the TTF hub was up 0.65 euro to 20.35 euros per megawatt hour. In the European carbon market, the benchmark Dec-17 contract was 0.22 euro higher at 5.14 euros a tonne. 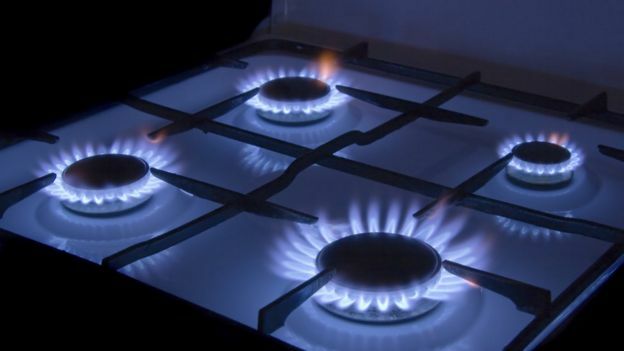 Thousands of UK households are facing gas and electricity bill rises of up to 28% as fixed price contracts signed before recent energy price increases come to an end. So far this winter, EDF, npower and Scottish Power have all announced hikes, meaning the customers of those companies need to look carefully at what they paying, particularly if they coming off a fixed tariff. Moneysupermarket has said 77 fixed energy deals are set to expire before the end of April, leaving average households typically facing a £200-a-year increase to around £1,100 a year for gas and electricity. Gas and electricity price increases of up to 15% – and much more for those coming off old fixed tariffs – have left consumers scrambling to get on a another fixed deal. But even those who switch supplier are likely to end up paying more over the coming year. EDF, npower, Scottish Power and SSE are among those with tariffs finishing, alongside deals from smaller suppliers such as Spark and Extra Energy. When fixed energy deals end providers roll customers on to their standard variable tariffs, which are typically their most expensive. Some customers who were on especially cheap tariffs have been told their bills will rise 28%. One supplier, npower, shocked the industry and even the regulator Ofgem when it announced it was raising electricity prices by 15% while gas bills will rise 4.8% adding a typical £109 a year to average bills. The other firms to raise electricity prices have announced rises of around 8%.However, British Gas said last week it was freezing bills. Moneysupermarket said consumers could switch penalty-free up to 45 days before their existing deal is due to end, under the regulator’s switching rules. Currently the cheapest providers are names that many consumers will be unfamiliar with, such as Iresa, Economy Energy and Tonik. Of the big six providers, Scottish Power’s online fixed saver is one of the cheaper deals. He said customers on expiring tariffs should act now to lock in new fixed deals and avoid being rolled on to standard variable tariffs. Mobile phone users are also facing more expensive bills in the coming months, following the rise in inflation. Vodafone, EE and O2 have said millions of mobile phone customers will face inflationary mid-contract price rises in the next couple of months. EE is raising some customers’ monthly bills by 2.5% from 30 March, in line with January’s retail price index inflation figure. O2 will increase monthly its charges by 2.6% in April, and Vodafone bills will rise by March’s inflation figure – also from April. EDF is to raise its standard electricity tariff for UK customers by 8.4 per cent from next March in defiance of government efforts to drive down bills. The increase — the French utility’s first in three years — highlights renewed energy price inflation over recent months as commodity markets have rebounded. Constraints in electricity generating capacityand depreciation of the pound since the UK’s vote to leave the EU have also contributed. EDF joined several other utilities in promising to freeze its standard variable power price over the cold winter months but became the first to admit prices would rise thereafter. The increase — expected by analysts to be followed by other suppliers — sets up a showdown with the UK government next spring, when ministers have promised to publish a green paper including measures to tackle high energy bills. Government efforts are focused on encouraging customers to switch away from relatively expensive standard variable tariffs of the kind increased by EDF on Friday on to cheaper fixed price deals. However, analysts and industry executives say that consumers should expect power tariffs of all kinds to rise in coming months in response to rising wholesale costs. 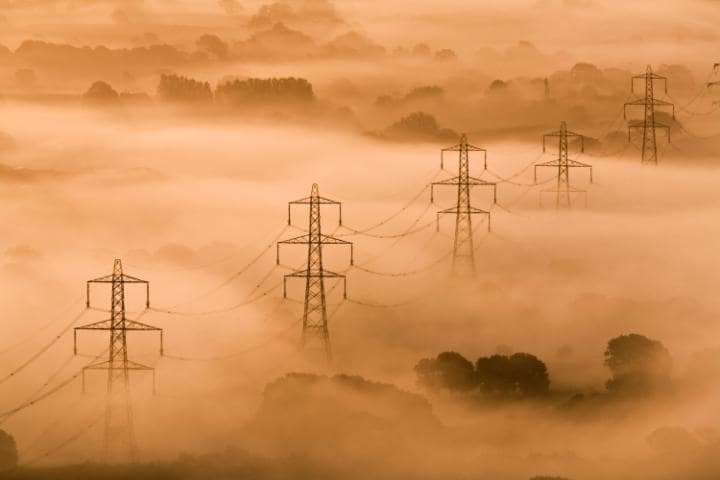 According to data from S&P Global Platts, UK day-ahead wholesale electricity prices rose 16 per cent last month and are up 63 per cent over the past year. Gas prices have also risen but at a more modest pace and EDF said it would offset its increased electricity tariffs with a 5.2 per cent cut in its standard gas price from January. This would result in a net increase of 1.2 per cent next year for consumers on a standard dual fuel tariff. “We want to help loyal customers by cutting gas prices ahead of the coldest winter months, and delaying electricity increases until later in the year,” said Beatrice Bigois, managing director of customers at EDF Energy. EDF and the other big six suppliers — British Gas, Eon, Npower, Scottish Power and SSE — have been losing market share to dozens of smaller competitors during the past few years. However, this trend has begun to reverse this year because the large groups are better protected against rising wholesale prices by long-term hedging. GB Energy, a small UK utility, blamed rising costs for its collapse last month and analysts and industry executives have forecast more failures in months ahead. To keep the pressure on the big six to keep bills down, Ofgem, the regulator, this week launched a league table “naming and shaming” suppliers with the highest proportion of customers on expensive standard tariffs and Philip Hammond, chancellor, said last month that the government would “look carefully” at whether the market was working fairly in its green paper next year. Consumer groups said the EDF price rise was a reminder of the importance of shopping around for cheaper deals. Peter Earl, head of energy at Comparethemarket.com, a price comparison website, said households could save an average £327 a year by switching away from a standard tariff. However, with fixed rate prices also rising, he said customers should prepare for a “post-Christmas energy shock”. Compare Gas & Electricity Prices for your business and switch online when you see how much you could save. Don’t accept a renewal quote from your existing supplier until you’ve checked how much you could save using our quick and easy system. We’re confident we can save you money. Over 90% of businesses that check their prices using our service can save money. Compare your energy prices now and instantly switch online. • Have you just moved into new business premises? Business Utilities UK are the commercial energy specialists and WILL save you time AND money, finding you the most competitive prices from the best suppliers. Save up to 60% get your free quote now. Call Business Utilities UK 0344 770 2345 or visit www.businessutilitiesuk.org. 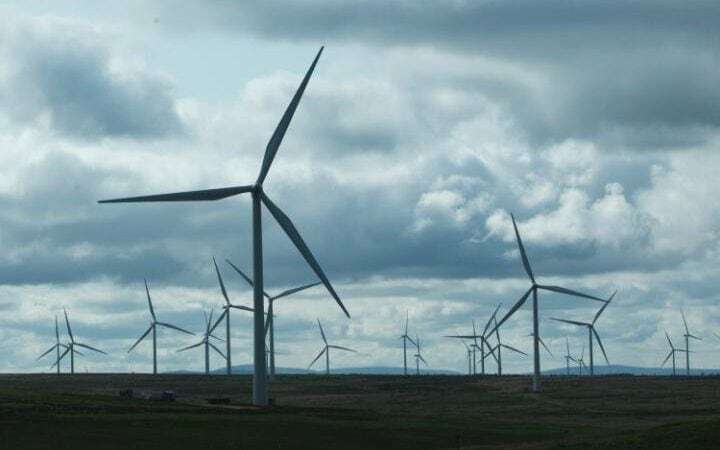 Britain’s increasing reliance on “intermittent” renewable energy means that the country is facing an unprecedented supply crisis, a senior Ofgem executive has warned. Andrew Wright, a senior partner at Ofgem and former interim chief executive, warned that households could be forced to pay extra to keep their lights on while their neighbours “sit in the dark” because “not everyone will be able to use as much as electricity as they want”. He warned that in future richer customers will be able to “pay for a higher level of reliability” while other households are left without electricity. In a stark warning about the future of energy supply in Britain, Mr Wright said that consumers could be forced to pay more if they want to ensure they always have power. “At the moment everyone has the same network – with some difference between rural and urban – but this is changing and these changes will produce some choices for society,” he told a recent conference. “We are currently all paying broadly the same price but we could be moving away from that and there will be some new features in the market which may see some choose to pay for a higher level of reliability. Mr Wright, who Ofgem last night insisted was speaking in a “personal capacity” appeared to lay blame to any future supply issues on the recent focus on renewable energy. He said: “The system we are all familiar with has some redundancy built into it. It was pretty straightforward and there was a supply margin, but increasing intermittency from renewable energy is producing profound changes to this system. Philip Hammond, the Chancellor, has previously said that Britain will need to invest “eye-wateringly large sums of money” just to keep the lights on. The Chancellor put the cost at around £100 billion in the next 20 years to ensure the country meets its energy needs. Four of the UK’s largest energy companies have been barring their own customers from some of the best deals for gas and electricity, the BBC’s Moneybox programme has learnt. The cheapest deals are often reserved for new customers only. Meanwhile existing customers have been offered deals which can be hundreds of pounds a year more expensive. The four companies, E.ON, EDF, SSE and British Gas said they were simply responding to changes in the market. While the British Gas tariff has now been withdrawn, other suppliers are still restricting their offers to new customers only. Such deals were originally banned by the regulator Ofgem in April 2014. Following a recommendation from the Competition and Markets Authority (CMA) in April this year, Ofgem let it be known it would no longer enforce these rules. The discovery of such deals has as come a surprise to some leading industry figures. Ken Geddes is the chief executive of Scottish-based Energylinx, the fourth biggest energy price comparison business. When the BBC told Mr Geddes about the new tariffs, he declared himself “stunned” by the difference between the prices some companies offered new and existing customers. Mr Geddes immediately tested a new-customer-only tariff from E.ON, launched in mid-September. He first applied as an E.ON customer and then as a customer of another company. The difference in the the two prices he got from E.ON was £260. “Having spent over a decade doing this job, I don’t think I’ve ever seen that differential”, Mr Geddes told the BBC. “I’m just gob-smacked as to the difference in price”. Large differences in price between new and existing customers are not confined to E.ON. In the summer, British Gas launched a new-customer-only one year tariff offered exclusively through Uswitch – the UK’s biggest energy price comparison website. For new customers with average household energy consumption, the British Gas “Home Energy Exclusive Jun 17” tariff cost £735 a year. But for existing customers – barred from that deal – the best British Gas price for the same amount of energy was £989. That British Gas tariff has now been withdrawn but others are appearing. The SSE new-customer-only tariff, launched in September, offered new customers on average consumption a year’s energy for £759 . For existing customers, SSE’s best deal cost £972 – a difference of over £200. Customers were unlikely to have learned such low-priced tariffs were available from their companies even if they searched Uswitch and Energy Helpline. That’s because such websites start by asking users for the name of their existing energy supplier. New-customer-only deals from that supplier are then filtered out. As a long-standing customer of EDF, I wanted to find out what tariff I would be offered. In a web-chat, I was told the tariffs available to me were: “Blue+ Price Protection Sep 2017” – costing £133 more than EDF’s new-customer-only tariff, and “Blue+ Price Freeze Sep 2018” costing almost £300 more. Were these the “very best tariffs EDF offers?” I asked the agent. “Yes” was the emphatic reply. When pressed about the much cheaper new tariff EDF had just launched, the agent replied, “I’m very sorry. This is only for new customers – not existing customers”. On Friday, EDF relaunched their new-customer-only deal, cutting the price by around £50 a year. So it’s a better deal than before but it’s still not for existing customers. Not all major energy suppliers plan to offer such tariffs. Scottish Power’s commercial director Colin McNeill told the BBC his company would not offer them. 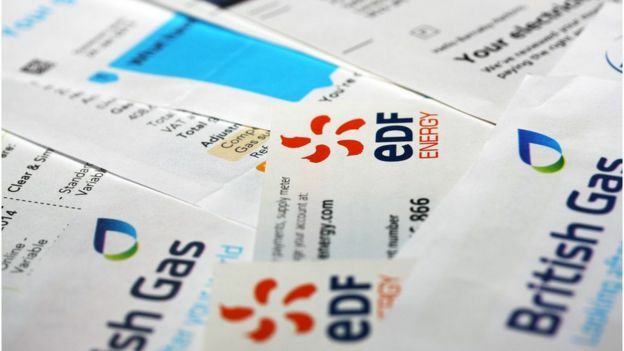 The four energy companies which have offered the new-customer only tariffs, E.ON, EDF, SSE and British Gas, all say that they are responding to changes in the energy market and that their new tariffs are part of a strategy to serve a wide range of customers. All four companies declined the BBC’s invitation to be interviewed about their new exclusive offers. Ofgem’s chief executive Dermot Nolan told the BBC that Ofgem had acted on the CMA’s recommendation “to make energy competition more similar to telecoms because on the whole that will mean lower prices and better deals for consumers”. If you are a business owner and just moved into new commercial premises or up for renewal in the next 6 months, you can lock in & fix the best deals NOW! We just need your supply details or address and postcode, along with the current supplier and annual consumption if you know it. All this information should be on your bill, but if you don’t then we can still compare prices and takes only 5 minutes. If you have just moved into a business property, you could be paying up to 60% higher rates than on a fixed price plan. This increase could be as much as £51 to the average annual electricity bill of £510 with rises planned for the New Year. Heating bills are also set to soar this winter due to increasing gas prices. According to energy regulator Ofgem, around seven per cent of the average bill, roughly £78, is put towards paying for environmental and social policies brought in by the government. Householders are being warned to brace themselves for a rise in their electricity bills as a series of freak events conspires to send wholesale prices rocketing. Safety concerns at France’s nuclear power plants operated by the energy company EDF have led to many reactors being temporarily shut down. There have been similar suspensions in Belgium. In addition, a lack of rain in Norway and Sweden – whose hydro plants generate large amounts of electricity for their European neighbours – has limited both countries’ energy production. The combined effect has been to send the price at which energy companies buy their power through the roof. Last Monday, a UK energy company buying power on a next-day contract would have paid about £150 a megawatt hour. The average price a year ago was £38.10. For companies that had not agreed forward contracts, the cost has soared to more than £1,000. Several smaller electricity suppliers have already raised prices or withdrawn competitive tariffs. Energy analysts say it will not be long before the big operators follow if, as looks possible, this winter starts with a protracted cold snap. An index tracking the price power companies pay for electricity, produced by the consultancy Cornwall Energy, is at its highest since it started in 2012. “It is unusual for there to be significant volumes of outages in the French nuclear fleet, however this is also one of our tightest winters in recent times in terms of extra capacity, which has also influenced how high prices rise,” said Cornwall analyst Tom Edwards. Twenty of EDF’s nuclear reactors have been stopped for checks on their steam generators, five more than would normally be shut down for maintenance at any one time. In July, EDF was forced to lower its 2016 nuclear output target to 395-400 TWh (terrawatt hours) from 408-416 TWh because of the need for “additional controls during the second half of the year” to show its reactors can operate safely. Last month, the group revised its nuclear output target again, from 380-390 TWh to 378-385 TWh. A spokeswoman said it was looking at ways to ensure it could maintain electricity generation by using its thermal and hydraulic plants. She said EDF would buy more electricity on the European wholesale markets if necessary and use “contractual flexibilities with some industrial customers and individuals to limit their electricity consumption”. Earlier this month, the Met Office predicted that the chance of the UK experiencing temperatures in the “cold” category was 30% – 1.5 times the usual risk – and warned that “contingency planners and others with sensitivity to cold weather might need to consider this elevated level of risk”. Larger operators that generate their own electricity can protect themselves against rising wholesale costs. But this is not so for smaller operators. Earlier this month, Southend Energy, one of the larger independent operators, announced rises of 9% and 8.4% respectively on its fixed and greener tariffs. “Some suppliers have increased the price of their fixed tariffs following the recent rise in wholesale energy prices, which is putting pressure on all suppliers’ costs,” said a spokesman for the energy markets regulator, Ofgem, which suggested many consumers could save about £300 a year by switching. FAMILIES face a hike in their energy bills as power giants get set to pass on increases in the price they pay. Wholesale gas and electricity prices are rising after a period of staying steady or falling. Sources say energy firms are looking to pass on the price rises — despite The Sun’s campaign to highlight how customers are already overpaying. It could see the average standard variable tariff rise 13 per cent from £1,063 to £1,201 per year. Some firms could delay an increase as they “hedged” against wholesale costs rising by pre-buying power at lower rates earlier this year. A source at one of the Big Six suppliers said: “Price rises are coming. “None of us bigger firms will want to go first but it will come to a point where we have to. “Hiking before Christmas will mean we get a lot of grief so firms will sit there now doing the maths to see how long they can hold off. “The bigger ones can hold off a bit longer than the smaller ones. “They pre-buy more power and also have deeper pockets to soak up tighter margins for a while. E.ON has already warned investors they have not hedged enough for their UK business. Co-op raised the price of their standard variable tariff last month. Critics said the Big Six are quick to pass on price rises but slow to pass on any savings. E.ON said it would not speculate on pricing.